Hidden Persuaders’ Sarah Marks traces how ‘brainwashing’ became a Cold War era code-word for Communist mass ‘indoctrination’; and, latterly, to express anxieties about the ubiquity of post-socialist consumer culture. “Brainwashing is a concept which you assign to someone whom you don’t like,” claimed Polish sociologist Zygmunt Bauman in an interview with Daniel Pick in 2015. “No-one would say, ‘I am a tremendously good brainwasher’, even if they are. Edward Hunter applied it to communists, and communist powers applied it to capitalists: an antipathetic concept, which you use in order to put a stigma on what other people are doing”. As Bauman reminds us, it had a particular utility during the Cold War battle of civilizations. Commentators in the West insisted that indoctrination efforts were embedded across the entire state system in the socialist ‘Peoples’ Democracies’, pervading all aspects of life. But it has gone largely unnoticed that some of the most vociferous critics to use this language to rail against communism were exiles and dissidents from the region themselves. Those from Czechoslovakia, in particular, grasped at ‘brainwashing’ as a way to make sense of what they saw as a betrayal of their home country’s liberal traditions. It had, after all, been a democratic republic before the Nazi occupation in 1938. In what follows, I trace the meanings of ‘brainwashing’ in Cold War commentaries penned by Czechoslovak authors, and explore how it has continued to be used after the Velvet Revolution, both to vilify the communist past, and to warn about the present. 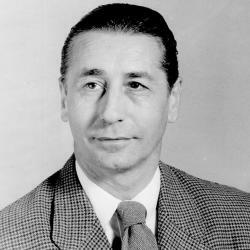 In 1948, Edward Táborský was the Czechoslovak Ambassador to Sweden. He had been a personal aide to the much-respected president Eduard Beneš, who had headed the Czechoslovak Government in Exile in London during the War. Like many others, he had hoped the nation would return to democratic stability after the war ended, but when the Communist Party took hold in 1948, Táborský left office and resigned himself to exile. After a brief time as a university teacher in Stockholm, he fled to the United States. His considerable experience in international affairs soon secured him a position as Associate Professor of Government at the University of Texas. In 1958, Táborský wrote a pamphlet, Conformity Under Communism: A Study of Indoctrination Techniques, circulated by the Washington D.C. publishing house, Public Affairs Press. Within its pages, enthusiastic use was made of the language of mind control, including ‘battles of the mind’, ‘brainwashing’, and ‘psychological warfare’: oft-cited phrases that would be easily recognisable to an American audience at the time. Táborský also appropriated the concept of ‘the engineering of consent’ to describe the Party’s instrumentalisation of the media and political speeches, a nod to a 1947 essay on electioneering and persuasion in US democracy, penned by Freud’s nephew Edward Bernays, a pioneer of the psychology of public relations. Such borrowings, without the author seeming to feel any need to elaborate upon their meaning, illustrates just how culturally embedded these expressions had become in America by the end of the 1950s. 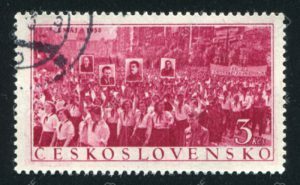 According to Táborský, closing off access to messages of dissent – from abroad or from within – which might “interfere with the processes of positive persuasion”, was far more crucial in Czechoslovakia than in Russia itself. Táborský argued that it had been “much more a part of the Western world and its civilization” before the Soviet take-over. His argument here contains a recognisable trope in the literature of exile. Most notably, it prefigures the novelist Milan Kundera’s later declaration that post-war Central Europe was a ‘Kidnapped West’, which although, “displaced, and brainwashed, nevertheless insists on defending its identity”. There is a clear politics of patriotism – or even cultural nationalism – within these commentaries. But there is also a grain of truth. With so much at stake in terms of the country’s position at the front line of the Cold War, and the nostalgia roused by the memory of the First Republic, no small effort was put into winning hearts and minds in Czechoslovakia. In order to enable positive reinforcement of the new, socialist way of life, the Party began to cancel out the residues of western influence from all aspects of the everyday. Táborský documented how home-grown radio broadcasts were contrived to contradict and ridicule the BBC and Radio Free Europe. Even the more banal and quotidian aspects of life had to be reinscribed for the new order: meals such as ‘Chateubriand’, and ‘rumpsteak Jackson’ were deleted from restaurant menus as they were, apparently, decadent “relics of feudalistic times, when culinary dishes were stylishly called after statesmen, artists and their mistresses”. Parents and schools were banned from telling children that the Baby Jesus (Ježíšek in Czech, Ježiško in Slovak) had brought their Christmas presents, as was local tradition. 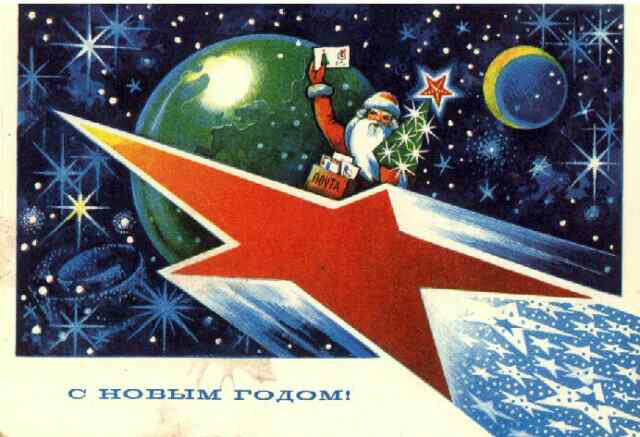 Instead, they were instructed to explain that gifts were delivered by Grandpa Frost: a thoroughly secular, Soviet re-visioning of Santa Claus. Religious groups, civic associations and patriotic holidays were persistently eroded through ‘salami tactics’ and replaced by new, ideologically sound equivalents. Such a refashioning of the fabric of everyday life wiped away familiar cultural norms, opening up a blank foundation. Onto this the Party would ‘lay the groundwork’ for the creation of a New Communist Man: re-conditioning the human mind by way of reshaping the environment, true to Marxist-Leninist and Pavlovian theories. Táborský claimed that indoctrination began early, not just via school, but also through full-day state crèches for young babies from 1951, with “ideological pudding…served up in ever increasing doses” through to university, and beyond. During adulthood, too, there was constant reinforcement through staged parades, radio, cinema, theatre and the newly burgeoning medium of television. More traditional media also served their purpose: libraries were weeded of offending literature, and stocked up with Marxist-Leninist tomes. ‘Bibliobuses’ were introduced, journeying to remote rural communities, with accompanying ‘voluntary-compulsory’ discussion groups, to ensure the prescribed books were read and interpreted correctly. In 1961, Princeton University Press published Táborský’s monograph, Communism in Czechoslovakia, 1948-1960, one of the few scholarly works on the country to exist in the English language at that time. Here he developed his analysis of indoctrination. The Soviet Union, he argued, had effectively ‘incarcerated’ the satellite states in an ‘isolation ward’ behind Iron Curtain. This was, “designed to serve essentially the same purpose in the process of collectivising the mind of a whole nation that solitary confinement serves in the process of individual brainwashing”. By disconnecting communication between the Czechoslovak population and the West, the authorities were able to go some way towards preventing the circulation of messages that might challenge their propaganda. But, for Táborský, there was also something more sinister, and more manipulative at play. Behind this effort to segregate Czechoslovakia and other Warsaw Pact nations from the rest of the world, he believed that, “they also sought to generate feelings of abandonment, despondency, and hopelessness, and thereby to weaken the mental resistance of the victim”. “It is far easier to supply new techniques or new weapons than new brains. We gain this conviction from our daily experience”. Táborský’s prediction held true. The regime’s ideological zeal may have waned as the decades progressed, by comparison with the dogmatic high Stalinism of the 1950s. A reformist movement rose in the 1960s, which hoped to reimagine ‘Socialism with a Human Face’. But allegations of mass brainwashing surfaced again after the crushing of the Prague Spring and the Soviet Invasion of 1968. 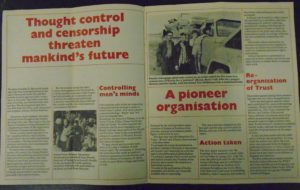 Papers held at the archives of UCL School of Slavonic and East European Studies detail how an exiled Czech psychiatrist in London, Eva Martin, campaigned to raise awareness of what she diagnosed as state-wide thought control, and the suppression of dissent, through letters to The Times, Amnesty International and the Quaker Movement. She proposed a radio play for the BBC, about the Communist Party’s political ‘brainwashing’ of children, dramatizing how they came to be conditioned to turn against the values of their families. The play was never made, but Martin found a community of concerned, kindred spirits in the Writers and Scholars Educational Trust. 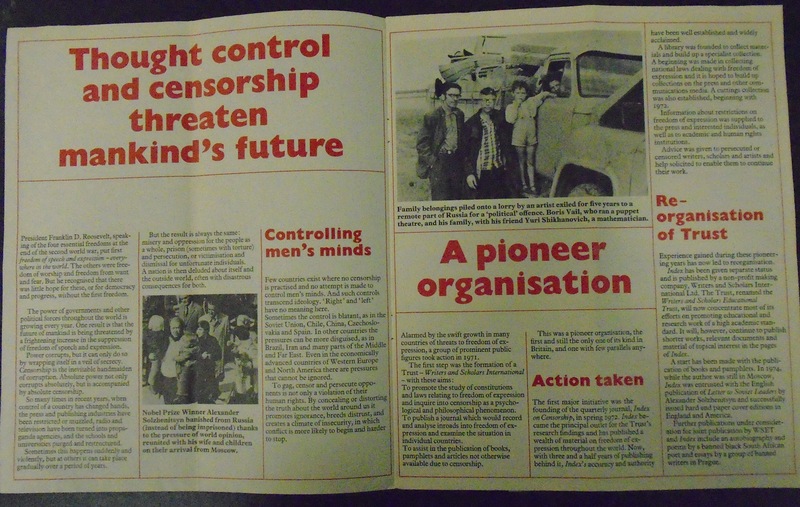 Founded in 1971, it campaigned worldwide for the right to freedom of expression, with patronage from prominent British intellectuals including Iris Murdoch, and the psychiatrist Peter Reddaway, who was instrumental in exposing the political abuse of psychiatry in the USSR. State use of ‘thought control’ and repression, in Eastern Europe and elsewhere, was monitored through their Index on Censorship – which continues to be published today. Not all of those campaigning for human rights were comfortable with the use of ‘brainwashing’ as a heuristic for how communism functioned. ‘Power of the Powerless’, a seminal samizdat essay by Charter 77 spokesman Václav Havel, which has had something of a revival in the Age of Trump and Brexit, voiced caution about accepting the inevitability of thought control. Ideology, he conceded, has a ‘strange hypnotic allure’. Conforming to it would be the easier option in a time of constant surveillance, but also when the comforts of consumption were being offered as compensation. But to conform, fundamentally, was still a moral choice. In order to play along with the regime’s rituals and sloganeering whilst not, in fact, being convinced by its ideology, an excusatory mechanism must be at work within a person’s conscience. Individuals, Havel asserted, were pushing knowledge of the state’s failures and crimes out of their awareness. To continue to behave in this way was to shirk responsibility towards oneself, and one’s fellow human beings. While they may have acted as automata, according the chartists, citizens had not been brainwashed: they were hiding the truth from themselves. These same dissidents went on to lead the protests that led to the fall of communism in 1989. The spectre of communist brainwashing nevertheless persists into the present. 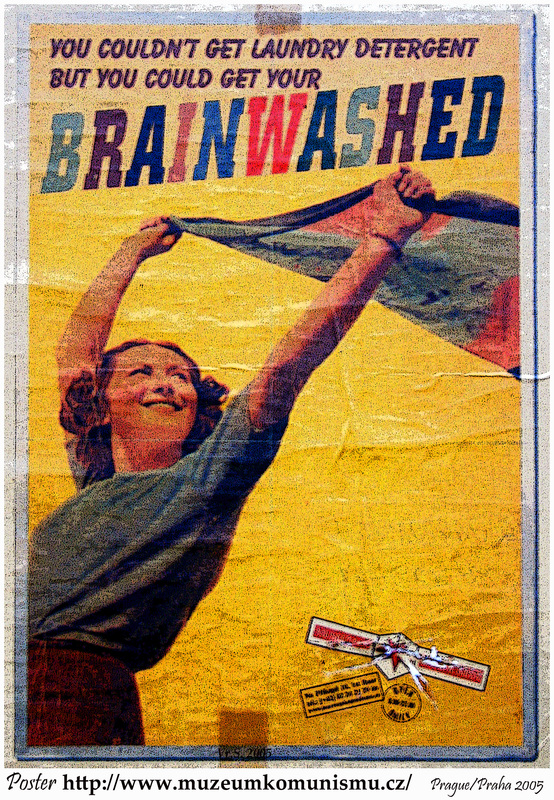 In 2005, Prague’s immersive memorial to everyday life under the regime, The Museum of Communism, baited visitors with posters on billboards across the city proclaiming, “You Couldn’t Get Laundry Detergent, But You Could Get Your Brainwashed”. Reporting on the efforts of linguists at Charles University to compile a frequency dictionary of socialist-era vocabulary, Radio Prague chose the tagline, “How did Communist propaganda brainwash people?”. Cold War caricatures persevere, shaping representations of the past in public discourse. 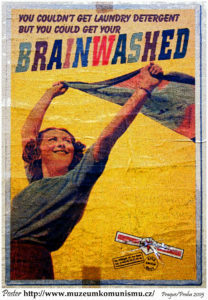 ‘Brainwashing’ has an immediate resonance, and offers a shorthand by which more than forty years of history can be explained away in a single word. 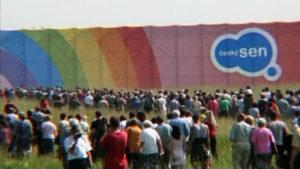 It also risks reducing the multifarious experiences and actions of millions of citizens down to a sweepingly generalised story of victimhood at the hands of ideological manipulation; as though the years between 1948-1989 might be considered little more than an unfortunate fairy tale, with the Communist Party playing the role of the Pied Piper. We have already seen above how these notions can be critiqued ethically, as well as historically. But the demonisation of the communist past is not the only narrative for which ‘brainwashing’ has been mobilised since 1989. By contrast, the much-lauded documentary film, Czech Dream [Český sen, dir. Vít Klusák and Filip Remunda, 2004], offers a modern-day cinematic rendering of Vance Packard’s 1950s critique of western consumerism, The Hidden Persuaders. It charts the many and varied techniques used by the advertising industry in the course of preparations for the grand opening of a new hypermarket. The directors expose the methods of market research in the course of building their publicity campaign: focus group interviews, eye-tracking technology used to glean which products consumers are most drawn to, interviews with marketing professionals who overtly deny the ethical necessity for truthful representation in advertising, and so on. Finally, as crowds flock hysterically to the store’s celebrated opening, the new hypermarket is revealed to be merely a gigantic façade: the shoppers have been thoroughly manipulated by the filmmakers’ demonstrative ruse. The same population that endured, but ultimately revolted against, communist propaganda, have (according to Klusák and Remunda) allowed themselves to be blindly coerced, and lied to, by the new consumer society. Even one of the communist regime’s most notorious opponents has echoed these anxieties. The musician, author and Charter 77 signatory, Vratislav Brabenec, was imprisoned by the StB in 1976 for his involvement with the dissident rock band Plastic People of the Universe, and then forced to emigrate upon his release. Since his return to the Czech Republic, he has argued in the nation’s most prominent newspaper that whilst socialism was indeed repressive, “capitalism washes our brains”. The post-socialist reorientation of society may have taken on positive aspects of Western democracies, such as the “judiciary or the banking system”, but, he asserts, it has also adopted the West’s more malevolent characteristics, including an ‘addiction to advertising’. As such, Brabenec argues, it actually poses a worse threat to the integrity of personhood than communism. Since the fall of the Habsburg Empire in 1918, the Czech and Slovak lands have been at the epicentre of Europe’s ‘Age of Extremes’. Within the course of a single lifetime, the region underwent regime changes spanning the political spectrum, from the Nazi occupation, to Soviet-style communism, to capitalist democracy. ‘Brainwashing’, ‘thought control’ and ‘indoctrination’ have provided a language by which the effects of the communist regime on the human mind could be made sense of, at a time when everyday life was re-engineered to create a new type of socialist person. Whatever the serious limitations of this discourse, during communism, and after its fall, these concepts were used to reflect on questions of freedom, morality and citizenship. Ultimately, ‘brainwashing’ has offered a frame for debating what kind of society citizens might choose to live in – or to reject – in the wake of Czechoslovakia’s dark twentieth century. Sarah Marks works with the Hidden Persuaders project at Birkbeck, University of London. She writes on the history of the psy professions, and Central and Eastern Europe. Her recent publications include ‘The Romani Minority, Coercive Sterilization, and Languages of Denial in the Czech Lands’, History Workshop Journal (2017), and Psychiatry in Communist Europe (co-edited with Mat Savelli, Palgrave, 2015). Milan Kundera (1984), ‘A Kidnapped West or Culture Bows Out’, Granta, 11. Edward Táborský (1961), Communism in Czechoslovakia, 1948-1960. Princeton, N.J.: Princeton University Press. Edward Táborský (1958), Conformity Under Communism, p. 38. Eva Martin Collection, UCL School of Slavonic and East European Studies Archives, 1960-1979. Václav Havel, ‘Moc bezmocných’, in Václav Havel (2012 ), Moc bezmocných a jiné eseje, (Prague), p. 101. See Holly Case (2017), ‘Now Who’s Living In Truth?’, Eurozine.